Feeling stuck? Not for long. 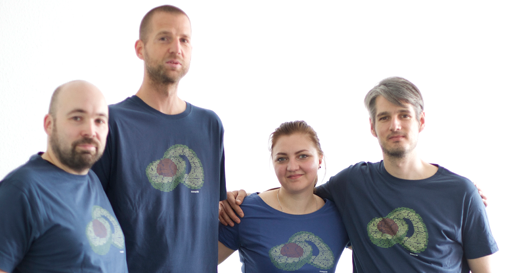 Join the ArangoDB community to get help, challenge ideas or discuss new features! Missing a driver in your favourite language? Give us a hand – bring your own cool ideas to life or contribute to some of the existing community-supported drivers for ArangoDB. We have many exciting plugins and useful connectors for ArangoDB developed and supported by the community. New suggestions, ideas and thoughts are always welcome. Did you create a nice service that makes it easier to prototype or to learn Foxx? Share it with the community! Just clone the Foxx repository and put your service in. All ArangoDB users can then install it e.g. via ArangoDBs WebUI. A fast, compact and platform-independent format for serialization and storage. VPack covers all of JSON plus dates, integers, binary data and arbitrary precision numbers. Directly access sub-attributes without decoding the document with VPack. Have an interesting idea to share with the community? Contribute to the ArangoDB Cookbook and share your recipe ideas with the rest of the crowd. We dedicate a lot of attention to our open-source community, especially when it comes to resolving issues and general user support. Your expertise would be greatly appreciated. Note: As we are an company registered in Germany, we are obliged by law to have a signed scanned copy of CLA to be able to accept pull requests to the official ArangoDB repository. Share your feedback and win an ArangoDB tee! There are million of ways to go in the future. Your feedback is important for us to stay on track! Take a minute to tell us a bit more about your use case and feature ideas. We do a raffle among all participants and send out prizes to the winners on a weekly basis. Thanks in advance & good luck! Community workshops are open for everyone and are interactive with “hands-on” exercises. One of our core team members will come around to show you and all interested participants how to work with a multi-model database, how to setups a highly available cluster or how to extend ArangoDB to your needs via our JS framework Foxx! Want to request a workshop? Get in touch.